Starting a week before I gave birth, at 38 weeks, I went to bed each night wondering if that night would be the night I would go into labor, as I had given birth to Keira eight days before her due date. Selfishly, I had hoped not because it was Thanksgiving week, and I wanted to spend time with my loved ones over amazing meals through the week before the baby arrived. On Monday, November 28th, just after Thanksgiving weekend, I was awoken at 5:30am by slight cramping in my lower abdomen. I called Amanda, the midwife who was on call that morning, to let her know what I was experiencing—I was well aware that second births can be swift, and that, if this was the start of labor, I would need to be administered antibiotics early, since I had tested positive for Group B Strep. As we do on any typical weekday morning, I got myself ready for work at 7:00am, Ray and I both woke Keira up at 7:15am, made her breakfast and got her ready for preschool, and, at 8:00am, Keira and I kissed and hugged Ray before starting on our 50-minute subway commute to school and work. Two overcrowded B trains passed us before we finally barely squeezed onto one. No one offered me a seat—typical. Subway commuters’ lack of regard while I was so pregnant usually irritated me, and I’d normally ask for a seat, but I was experiencing contractions every 15-20 minutes, lasting 30 seconds each—my mind and body were occupied, and I didn’t have the energy to even ask. I closed my eyes for much of the ride, and, surprisingly, Keira didn’t ask me to read to her or let her out of her stroller but rather looked at a book by herself quietly. We arrived at school ten minutes late, and bumped into the mother of one of Keira’s classmate’s, who remarked, “You’re still here.” “Oh yes! The trains were overcrowded this morning.” “No. I mean, you’re still here.” “Ah. Yes, I am.” I shared the fact that I was experiencing contractions with her, and may not be at drop off tomorrow. I rushed off to work at Sacred Sounds Yoga, and acted on a strong urge to “nest” at work, or to prepare the studio for my likely impending maternity leave and tie as many loose ends as possible. I replied to emails, updated our website with December and January workshops and events, texted our studio managers to let them know that they may need to cover for me starting tomorrow, and headed to the bank to take care of the studio’s monthly banking needs. The first week of the month is always the busiest week for me, and this month was especially important leading up to January, when students returned to classes following the holidays and New Year’s Resolutions. Knowing that December was only three days away, I needed to maximize my use of time in these precious few hours as best as I could! While standing in front of the bank teller, at 1:54pm, I called Amanda to give her an update—my contractions were eight to 15 minutes apart, still lasting 30 seconds each. I was so busy working that I’d forgotten to eat lunch! I headed to byCHLOE, a vegan café that was a block and a half away from the studio and one of my go-to places for lunch, and ordered their Guac Burger and Baked Sweet Potato Fries, realizing that I needed to carbo-load with something substantial. “Your big day is almost here!” smiled a friendly face behind the counter. I visited byCHLOE so frequently that some of their employees knew my due date, and I knew that my due date was this particular employee’s birthday! “Well good luck on your birth if I don’t see you before, but I’m sure I will.” I nodded and smiled back, before rushing back to the studio to scarf down the burger, and finish more work. My mother picked up both Keira and me at Keira’s school by car during pick up, as we agreed that it would be best for me not to bring Keira back to our home in Brooklyn when the Birth Center at Lower Manhattan-Presbyterian Hospital, where I had planned to give birth, was near my parents’ home. I was also afraid that the contractions would be too strong for me to handle another subway commute. Boy were we both right! 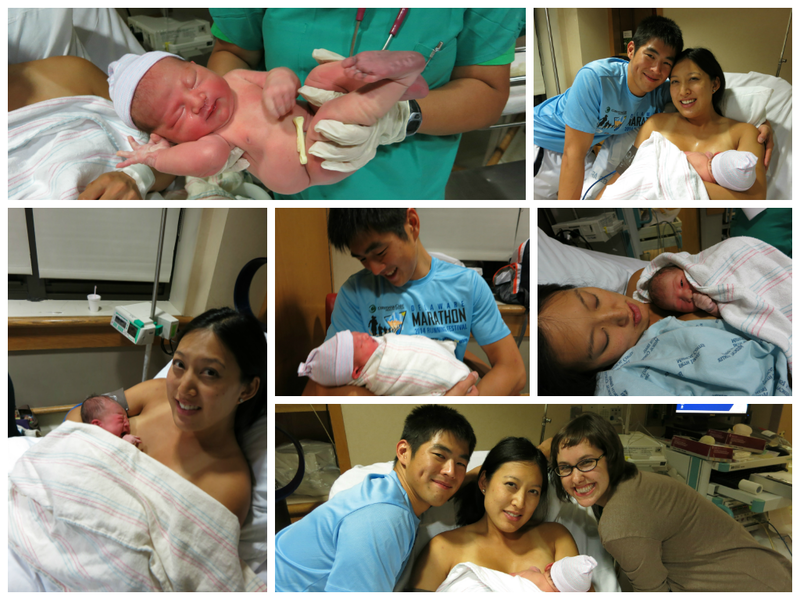 By the time we arrived at my parents’, I was in active labor! At 3:46pm, I let Amanda know that my contractions were five to seven minutes apart, lasting 60 seconds each, and she told me that she would meet me at the hospital. I called Ray, who was already driving into Manhattan with my birth doula Caprice, and told them to meet me at the hospital. However, merely attempting to carry my hospital bag brought on a contraction each time I tried, and I asked them to drive me too. The contractions were much harder to manage now—they stopped me dead in my tracks each time at this point, and made my fingers and toes curl. I headed to a bedroom to lie down, despite Keira’s protests. “Mommy, come lie down on the couch!” she said while patting the spot next to her. My mother then tried to start a conversation about Christmas gifts. “Oh. You’re in pain right now.” “Yes. Not right now,” I muttered, as I walked toward the bedroom again. My sister Samantha spotted me in the foyer just before I entered the bedroom, and noted, “It looks like they’re really painful!” I finally shut the door behind me. Laboring at my parents’ crowded home was certainly a very different experience from laboring with Ray in the comforts of our own home two years ago. Ray and Caprice finally picked me up, and we headed to the hospital at 4:45pm. Ray parked the car, and Caprice escorted me arm-in-arm into the hospital. “We’re going to Labor and Delivery,” I mentioned to the security guard on our way in. “Are you getting induced?” he asked. “No, she’s in active labor,” Caprice replied as we passed him. What a strange question to ask. At the nurses’ desk in Labor and Delivery, a nurse insisted that I fill out a lengthy form completely. Because of the intensity of the contractions, Caprice attempted to fill it out to the best of her ability. After the form was nearly completed, the nurse finally asked,” Are you pre-registered?” “Yes,” I replied, and asked Caprice to retrieve the form from my hospital bag! Amanda checked me once we arrived in triage. She noted that I was already four to five centimeters dilated, 90% effaced, at 0 station, had bloody show and a bulging bag of waters, and that I could be admitted as soon as I received my first of two doses of antibiotics for Group B Strep intravenously! She hoped that I’d be able to wait another four hours for my second dose before I gave birth—if not, our son would be required to stay in the hospital for an additional 24 hours for monitoring. My contractions felt as if they were occurring one on top of the other by then. I was comforted by both Ray’s and Caprice’s presence, as they took turns allowing me to squeeze their hand through each long contraction. I inhaled and exhaled deeply with each contraction, and counted slowly in my head, both techniques that I had practiced and knew worked well for me during mock contractions in Prenatal Yoga classes. A nurse asked me to sign a lengthy document in five places, and, after two signatures, another contraction had started. Caprice noted during my postpartum visit that she truly believed that my marathon training had served me well in being able to cope with active labor—as if I was mustering every last ounce of effort I had left in me, I popped up from the bed at the peak of the contraction, and signed in two more places, before I plopped back down! I felt the strong urge to vomit, Caprice asked for a container for me, and I vomited directly into the container. Why did I want an unmedicated birth again? I had forgotten how hard childbirth was! Once I finally received the antibiotics, another nurse named Gemma asked me to sit in a wheelchair so that I could be wheeled into the Birth Center. Just the idea of sitting made me writhe in pain, but I complied. I closed my eyes, and was able to breathe deeply and ignore any physical discomfort. I learned that I could focus on my breath to numb physical pain during marathons. This particular birth experience reminded me especially of my last marathon, the 2016 New York City Marathon, which I had completed three weeks prior at 36 weeks pregnant. Due to less training than usual over the course of the year and, I assumed, pregnancy hormones, my last marathon was especially uncomfortable during the second half, and downright painful during parts of the last 10K. Still, I able to manage the pain during that race, and do the same during childbirth. I stood up as soon as I was wheeled into my room at the Birth Center with a strong urge to push. “Why don’t you sit down,” Gemma asked, pointing at one of the chairs in the room. “I don’t want to sit down!” I exclaimed. I was befuddled by her suggestion. Who on Earth wants to sit down when they’re about to give birth?! I took a step toward the bed, pushed with a contraction, and my water gushed beneath me! “Oh no! What if the baby falls on the floor?! No one will be here to catch him!” I was truly fearful that my son would arrive then and there! 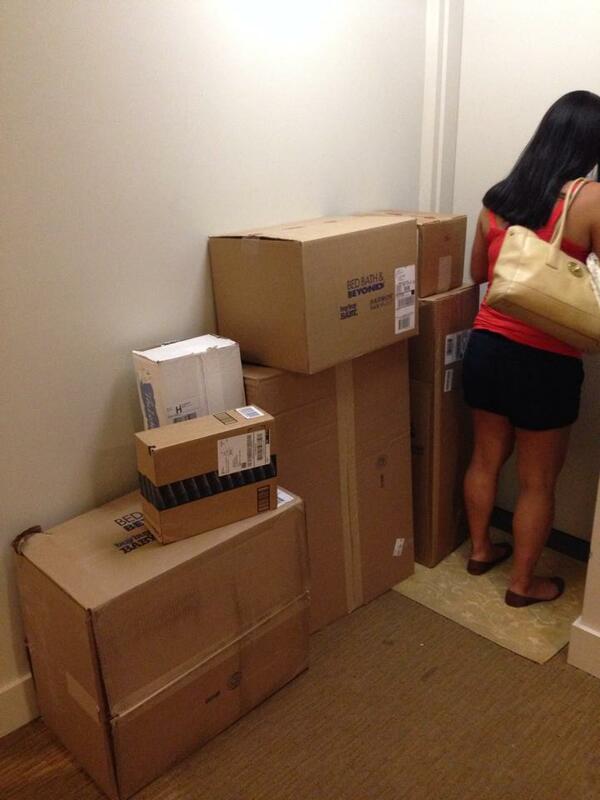 “I’m here!” Amanda exclaimed, running into the room. “I need you to wait. Can you wait until the nurse gets here? Can you get on the bed?” she asked me. I didn’t think I could do it, but, somehow, I was able to pull myself up onto the bed on my own. I positioned myself on hands and knees, Ray set up a birth ball in front of me while Caprice pressed firmly against my hips and lower back during contractions. The pressure helped to alleviate some of the lower back pain that I felt. Ray then swapped the birth ball for a wedge for more stability, while I was still on hands and knees. I pushed five times, and the top of my son’s head was visible! However, my thighs were sore, and I didn’t feel as if I was getting enough traction in this position. Amanda suggested that I try side lying. I shifted onto my left side, while Gemma pushed against the sole of my right foot. I pushed three more times, the last time digging deep, as I could feel him crowning and his shoulders coming through the birth canal! After 15 minutes of pushing total, I could feel him release from me, and hear his cries! Amanda hollered. It was the most amniotic fluid that had splattered on her ever, and the closest that amniotic fluid has ever made it her mouth. Caprice later called it a “fountain of fluid”! Ray helped Amanda catch our son, while Amanda somersaulted his body to unwrap his umbilical cord from his neck, and Amanda proceeded to place him on my chest. Welcome to the world! It’s so nice to finally meet you! I’ll never forget that moment, the moment he finally entered the world, the rush of endorphins, and the moment I lay my eyes on the human being that had been growing and moving in my belly for nearly 10 months. After all the worries over the course of many months, he had arrived. And he was perfect. Ray cut his umbilical cord, and noted that the pair of scissors he used this time were much sharper and easier to cut with than those he used for Keira’s cord. I allowed our son to do the Breast Crawl to find his own way to my breast—he did just this, and latched firmly onto my right breast. “You know she ran a marathon at 36 weeks pregnant?” Caprice mentioned to Amanda as Amanda delivered my placenta. “I think I remember hearing about that,” Amanda replied. As much as I believed that training for and running a marathon while nine months pregnant and practicing yoga throughout my pregnancy helped me in my positive birth experience, giving birth naturally was still the hardest thing I had ever done (albeit twice!) in my life. But I wouldn’t have wanted to change a thing. Quinn River was born on Monday, November 28, 2016 at 6:43pm at 39 weeks pregnant, weighing 7 pounds 1 ounce and measuring 20 inches long. Thank you, Caprice, for your knowledge and support during my pregnancy, birth and postpartum, my parents, Julie and Francis, for taking care of Keira while we were at the hospital, Amanda and the LoMa Midwives for such a positive experience during my pregnancy and birth, and Ray for your infinite love and support! Categories: Athlete, Baby, Pregnancy | Tags: Birth Center, Caprice Abowitt, Childbirth, Doula, Marathons, Midwife, Natural Unmedicated Childbirth, Pregnancy, Quinn River, Second Time Mother, Third Trimester | Permalink. Shhh. If you know my husband Ray or myself personally, please do not share this news with anyone. We will when we’re ready. But you can celebrate quietly with us in the meantime! After placing this blog on hiatus for over a year and a half, I’m finally back, which only means one thing–we’re pregnant again! As with my first pregnancy, this one was not a surprise either, and far from it, in fact. Whereas we conceived our daughter Keira in less than two months, we had been trying for half a year when I finally received a positive pregnancy test 10 days ago! I know way more than I ever thought I would about my Body Basil Temperature (BBT), cervical mucus and luteal phase. After the first few months of trying the good ol’ fashion way, as I had during my first pregnancy, I started charting religiously to determine my ovulation date every month. What does charting entail? I logged my BBT every morning as soon as I woke up, noted my cervical mucus, and understood whether that meant I was fertile at that time or not, and knew that if I had a short luteal phase during any particular month that my chances of getting pregnant were lower. Whereas I distinctly recall how uncomfortably tender and sore my breasts were early on in my first pregnancy, I have not had any soreness at all this time around. I wonder if this is due to the fact that I breast fed Keira until she was 15.5 months old? I ultimately weaned her because my OB/GYN confirmed that I was not ovulating due to high prolactin levels. In fact, I did not ovulate until our third month of trying to conceive this time around, less than a month after I weaned Keira. The feelings of exhaustion are 10 times worse this time around. I am delirious midday, nearly fall asleep immediately after work, and pass out immediately after dinner. 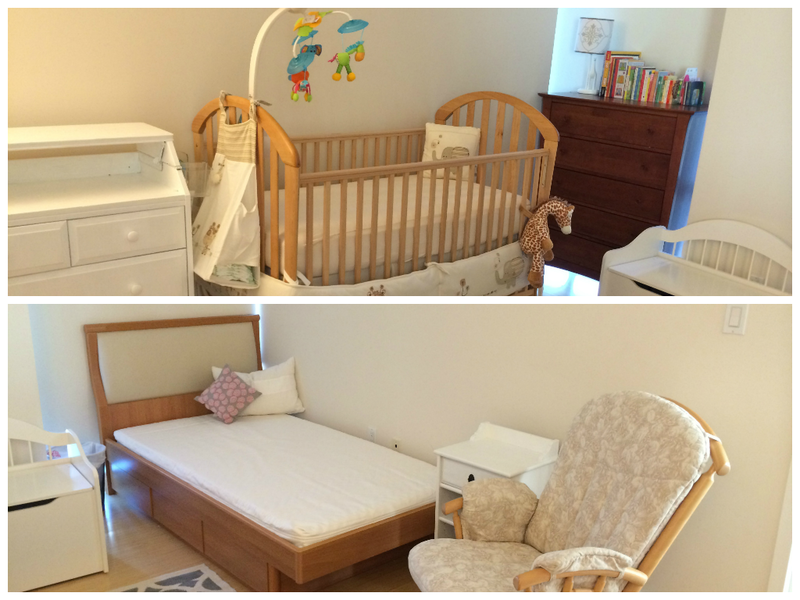 There’s no surprise why–we now have a toddler at home! Not only can I not rest after work, and take naps on weekends, but I now have to run after an active 20-month-old. My mother-in-law claims that Keira is the most active of all her grandchildren, and I can certainly imagine this, especially as there was a recent New York Times article that stated that exercise during pregnancy leads to exercise-loving offspring. I not nearly as fit now as I was before my first pregnancy. Although I did run three marathons last year while breastfeeding Keira, I still have not yet ridden my road bike, and only rode my commuter bike once, since before Keira was born. Additionally, at the suggestion of my OB/GYN before implantation takes place, I had cut down my weekly mileage by more than half while trying to conceive this time, and didn’t run a marathon this season. I’m excited to start running a bit more, albeit much more slowly, again now. I’m starting to show already?! I didn’t have anyone offer me a seat on the Subway or make any comments until I was 4.5 months pregnant during my last pregnancy? A man I’ve only met twice in my life blatantly asked me if I was pregnant yesterday! The idea that I may be showing didn’t even cross my mind, but now I’m nervous, and extremely annoyed that that man too. Now, I’ll have to figure out ways to hide my belly for the next eight weeks, despite the fact that I am in a yoga studio daily, and run home to work, so wearing bulky clothes doesn’t really make sense. Despite the differences between this pregnancy and my last, I’m just as excited as I was with my first! Categories: Pregnancy | Tags: First Trimester, Pregnancy | Permalink. How to deal with pre-baby anxiety! I thought it was bad enough that I’ve been waking up two to three times each night to pee this entire pregnancy, but, starting this week, I’ve been finding it challenging to fall and stay asleep too with pre-baby anxiety looming over my head! The massive kicks and movement, in general, at night certainly doesn’t help my inability to sleep either. Two nights ago, I went to bed at 10:30pm, my usual bedtime, and had planned to go for a 5-mile run before work at 6:00am. However, I found myself wide awake an hour later, was unable to fall back asleep for another two hours, and awoke every hour until 6:00am! I ultimately opted out of that early morning run, cranky and feeling defeated for the rest of the day. Tomorrow marks exactly one month before my expected due date–July 27th (already?)! Issue #1: I don’t have a nursery set up yet, or anything for our baby at our apartment for that matter. 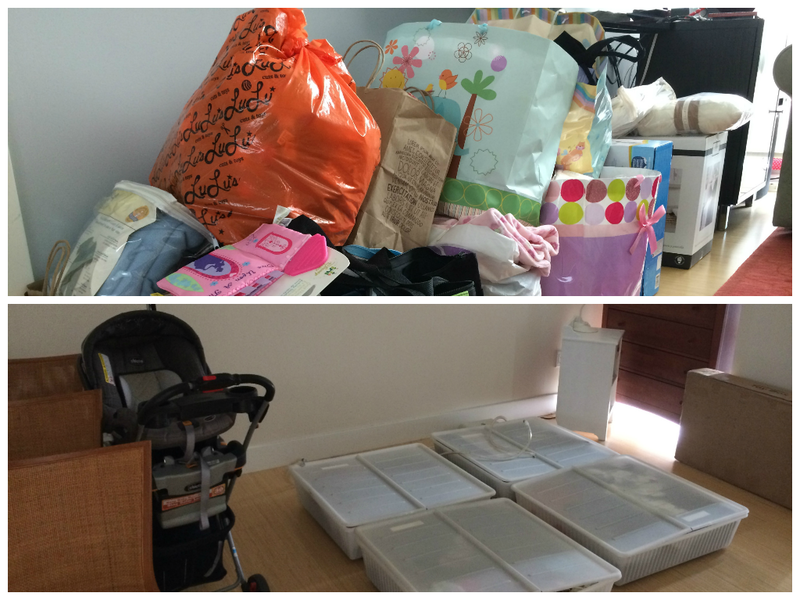 My husband and I thought it was a brilliant idea to take on a roommate to save funds for our daughter last year, but, out of respect for our roommate, all of our baby-related items are neatly stacked so as not to clutter our apartment. Additionally, our roommate is currently living in our future nursery, which means we can’t set anything up until he moves out. As each day passes and my urge to nest grows stronger, I become more fearful of running out of time! Solution: Our roommate’s agreement ends this coming Monday, so we’ll be able to set up the nursery in only four days, thankfully. Issue #2: I own my own small business, a yoga studio in New York City, for which I need to find coverage when I’m on “maternity leave.” “Maternity leave” is in parentheses because I’ll actually be working from home for six weeks, so it’s not truly maternity leave. However, I’m not as worried about working from home as I am about the fact that I usually work at the front desk at the studio on Mondays through Thursdays, and will need to find staff members to cover my hours. Unfortunately, I’m currently short staffed, and my employees are unable to cover all my hours, as many of them work multiple jobs. Solution: I’ve been taking my time to interview potential employees over the last two weeks, and have, thankfully, met a few great applicants, two of whom I hired today! I’ll be training them both this Monday, and they’ll start working at the studio in July. A flexible schedule was a major factor in the hiring process. Issue #3: I’m carpooling with my husband and two friends tomorrow to the Toughman Tupper Lake Tinman Triathlon, which is 5 hours up north. Will they stop for me when I need to pee (every hour)? What if I overheat while cheering during the race? What if I go into labor while we’re upstate? These were a few of the fears I stressed over earlier this week, to name a few! Solution: We checked with our friends, and they promised to stop for me every hour, and I check with my doctor, who confirmed I was okay to go on the trip. Instead of cheering for the entire race on the sidelines, I decided to run the half marathon portion of the half Ironman! Irregardless of what may potentially happen, I’ll be with my husband at least, which would be better than being at home by myself! I should, hopefully, be able to overcome the bulk of my pre-baby anxiety over the next week, as I return from this weekend’s trip upstate, train my new employees and set up our nursery. More importantly, I have to remember to “let go.” Our daughter will arrive when she’s ready. And when she does, I’ll have my husband by my side, and we’ll be there for her. 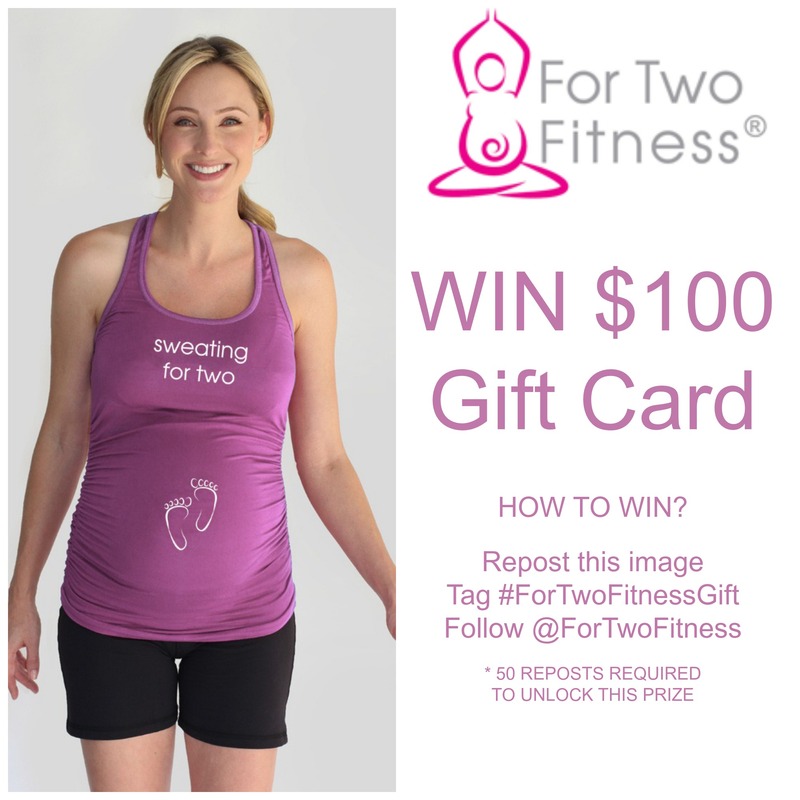 Giveaway Description: One lucky Instagrammer will win $100 gift card to For Two Fitness–the very best in maternity activewear! Simply post this image on your Instagram feed along with the tag #fortwofitnessgift and mention @fortwofitness. Include in your comment the item or items you love the most. A minimum of 50 reposts will be required to unlock the prize, so share with all of your pregnant friends, and good luck! Categories: Athlete, Pregnancy | Tags: Daughter, For Two Fitness, Half Marathons, Nesting, Nursery, Pregnancy, Roommate, Running, Small Business, Third Trimester, Triathlons | Permalink. What to do running-wise for the remaining weeks of my pregnancy now that my goal race has been completed? 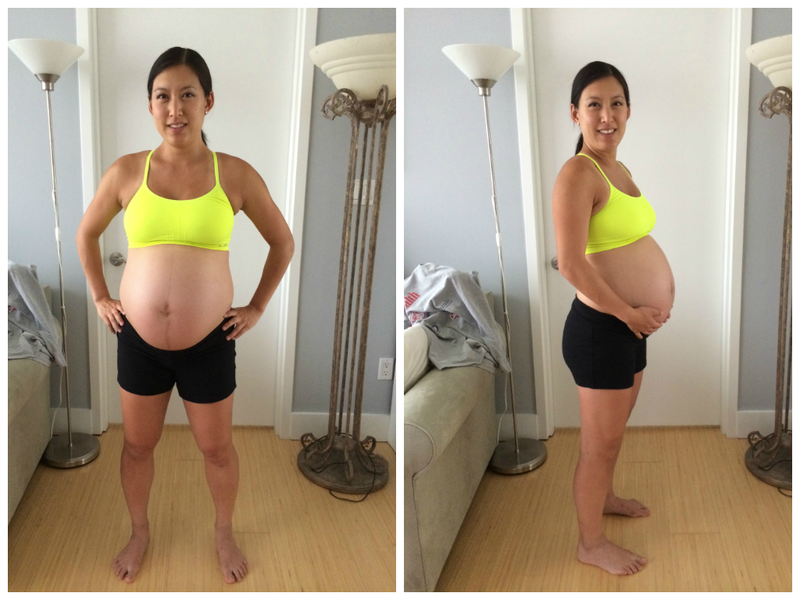 I had been so fixated on my training for the 2014 Delaware Marathon, that I had not even considered what I would do running-wise for the 11 weeks after my goal race until the end of my pregnancy! Since I started running marathons in 2008, completing a spring or fall marathon season usually meant that I would enjoy easy runs and cross training for a few weeks before diving back into the next marathon season. In 2012 and 2013, there were no breaks between seasons, as spring season was actually a precursor to the summer triathlon season, and fall season would begin immediately after the triathlon season ended. Realizing that the road to recovery from childbirth can be long and arduous, as can adjusting to my new life as a mom, I had already decided to not sign up for a fall marathon, so that I could focus on nursing and spending a lot of quality time with my husband and my daughter. Next year, I plan to test the theory behind Performance Enhancing Babies (PEBs), and aim to qualify for Boston! 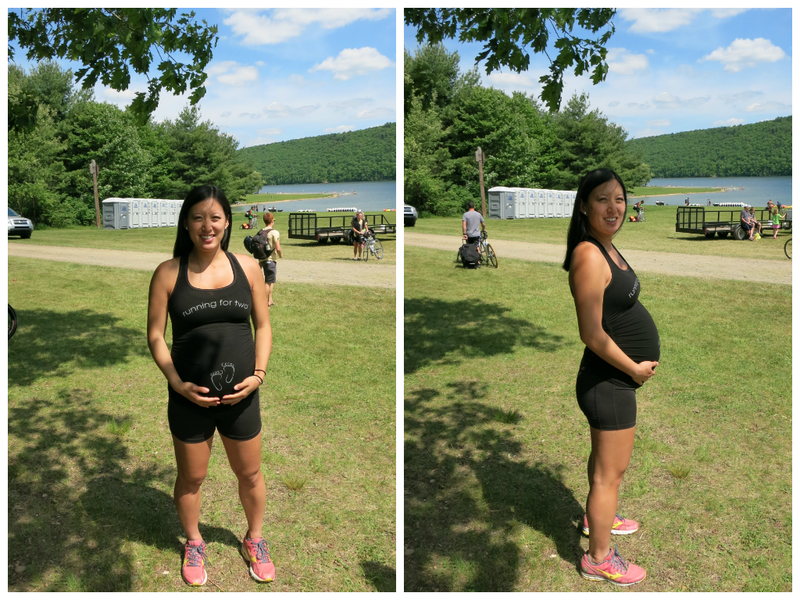 The important question still remains: What DO I do running-wise for the remaining weeks of my pregnancy now that my goal race has been completed? Here are a few things I have been doing over the past four weeks since my goal race that I suggest other pregnant runners struggling with the post-goal race blues take part in! Suggestion #1: Volunteer for local races. The much-anticipated Brooklyn Half Marathon took place 6 days after my marathon, and, since I live in Brooklyn, had a lot of friends running this race, and still needed to volunteer for a New York Road Runner race, as part of my 9+1 for entry into the 2015 NYC Marathon, I jumped at the chance to volunteer for it! I helped out at the start corrals, which was no easy feat, as the race had over 25,000 runners and a two-wave start! I was also asked to hold the orange starting line tape, certainly the closest I’d get to the front of the line of a large race! After both waves started, I helped discard GU packets, water bottles and other trash as well as pick up articles of clothes for donations, which was the most challenging part of volunteering, as my belly made it really hard to bend down to pick up items. While I do not litter when I run solo, I’ll now also always make a concerned effort to discard trash in trash bins during races too–remember that someone has to pick up the trash after you! Suggestion #2: Map out fun runs for yourself in your town or city. On some weekdays, I still run 5 miles home in Brooklyn from work in Manhattan, changing the bridge I run over depending on the day. On weekends, I will usually go for a 10-mile long run, either opting to run a few loops of Prospect Park, along the water in Brooklyn, into Manhattan and back. 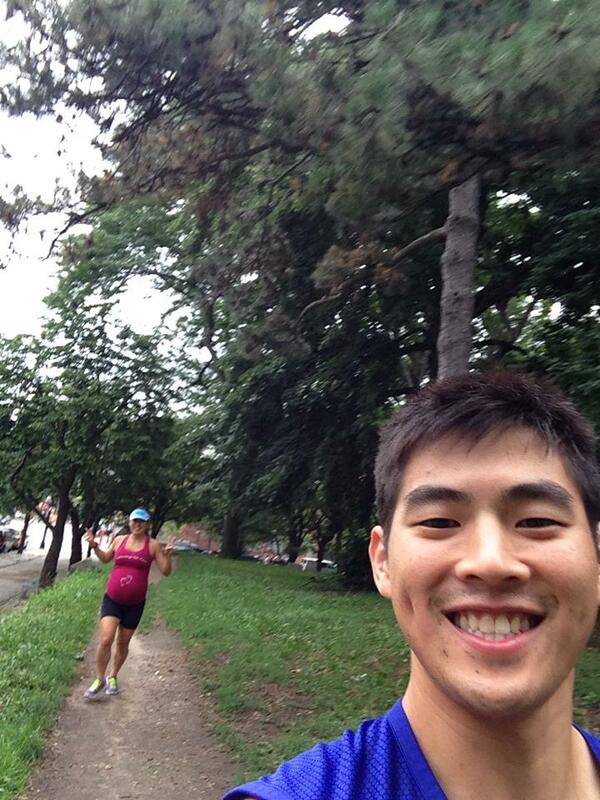 The weather has been so perfect for running in New York City recently! Clockwise from bottom left: Manhattan Bridge, Brooklyn Bridge, Chinatown from Manhattan Bridge, National Running Day swag, Brooklyn Bridge Park, Williamsburg Bridge, Hudson River Park and National Running Day swag! Suggestion #3: Support your friends and family at their races. 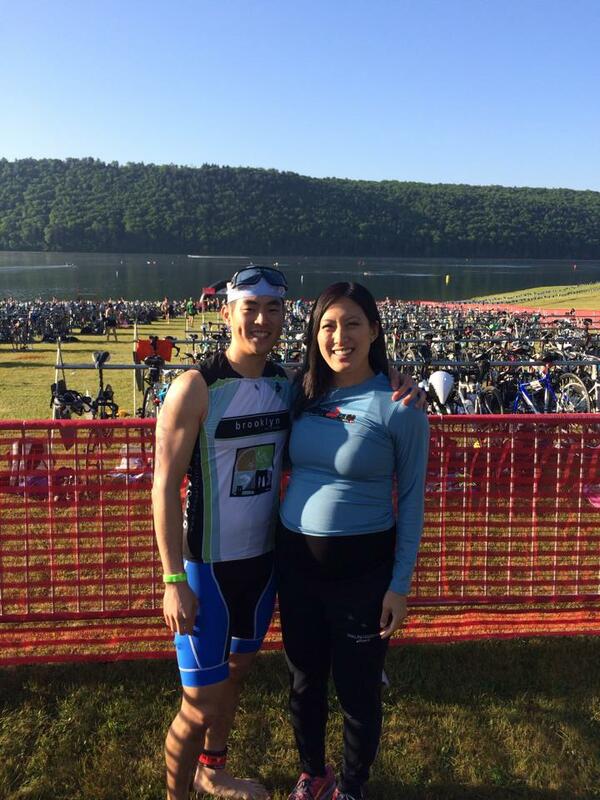 My husband kicked off the start of his triathlon season at the Black Bear Half Ironman two weeks ago. He has been so supportive of my races since we started dating, and has either volunteered or cheered me on at every marathon or triathlon I have ever completed, so there was no way I would miss his race! We awoke at 3:45am that morning, packed up the car, and headed to the race, which started at 7:00am in the Poconos. I was grateful that my husband brought me a folding chair to sit on for the day, and that there were plenty of trees to lounge under, as the temperatures reached the mid-80s! However, my husband couldn’t find any places for me to pick up food on the way to the race, and they didn’t sell any food or drinks at the race either, which left me parched and starving until he was finished at 3:30pm! As he entered transition after the bike leg and before his half marathon, I had to holler at him to toss me any GU he didn’t need and water because I was THAT hungry and thirsty (Who willing ingests GU if not for training or a race?). He said he thought of our baby and me during the entire run, and was running to us to get us food and drinks. I ended up sick with a sore throat, fever and cold that week–no surprise!! Supporting friends and family is always a great thing to do, but definitely pack your own food and drinks, just in case, when you’re pregnant! My husband and me at the start of the Black Bear Half Ironman, where he finished a really tough course with the steepest bike climbs and a technical half in 6:24:29, a 10th place AG and a PR, 6/1/14! 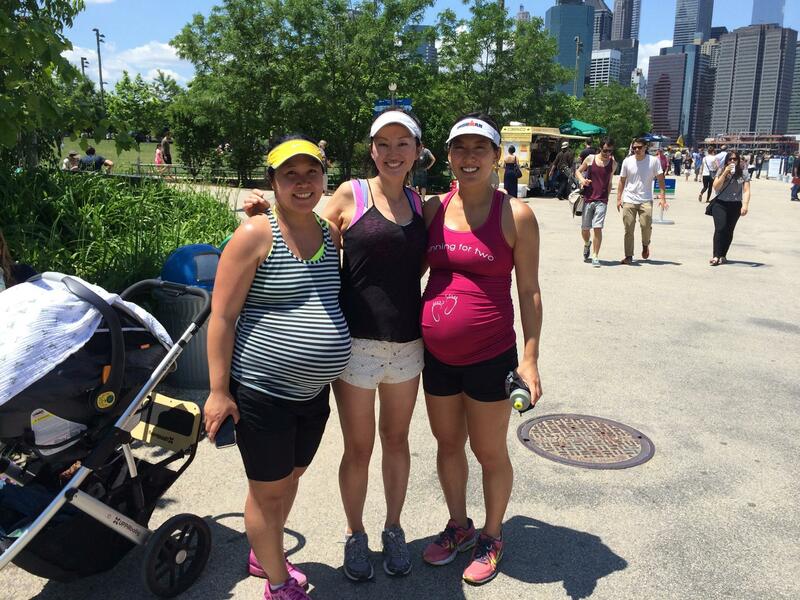 Suggestion #4: Run with fellow pregnant friends. Who better to have as running buddies when you’ve slowed down significantly and your pace is unpredictable due to pregnancy but other pregnant women?! 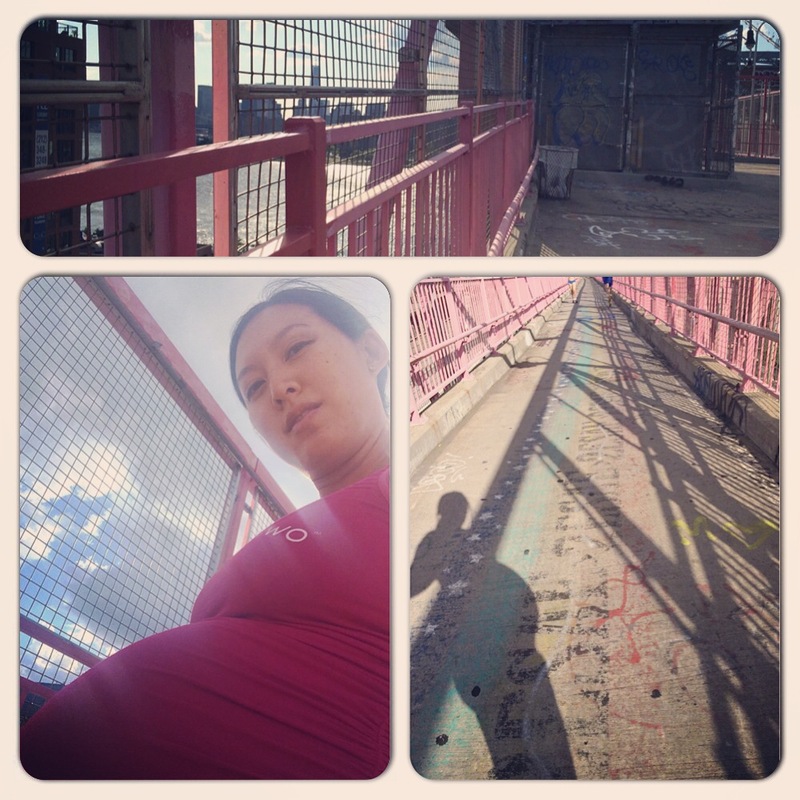 Last Saturday, two of my pregnant friends and I planned to meet at Brooklyn Bridge Park, and go for an 8-mile run and post-run brunch. One of my friends was 10 days away from her due date! We ended up cutting the run short at 4.5 miles, which certainly happens on pregnant runs, sipped fresh lemonade infused with different fruit and herbs (I had one with watermelon and mint!) as we strolled along the water, and enjoyed a yummy brunch at AIMar, a charming restaurant in the area. The best part of the run and brunch date was the ability to discuss any and all topics related to our pregnancies and babies! So much fun! From left to right, weeks 38, 19 and 31, 6/7/14races, two of the three last official races I’ll be running for a while, since and I’ll be busy in July! 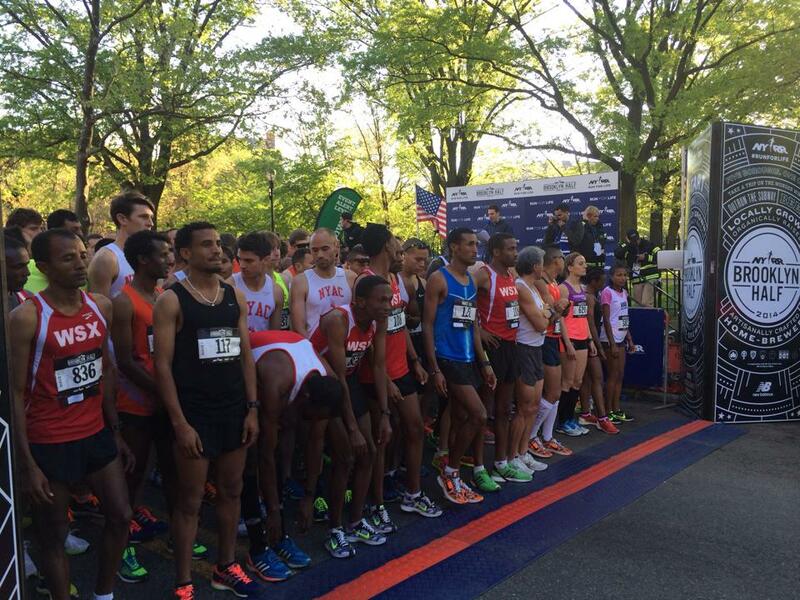 Best of luck to the ‘s Moms In Training at the New York Mini 10K, for which was a partner. They’re an inspiring group of superwomen. Suggestion #5: Continue to run shorter distance races! In addition to continuing to run regularly, I’ve signed up for a number of shorter races in New York City through the end of June, and will look for more to motivate me in July as I approached my expected due date. This weekend, I’ll be running two races back-to-back, namely the Oakley Women’s Mini 10K on Saturday and the Portugal Day 5-miler on Sunday! 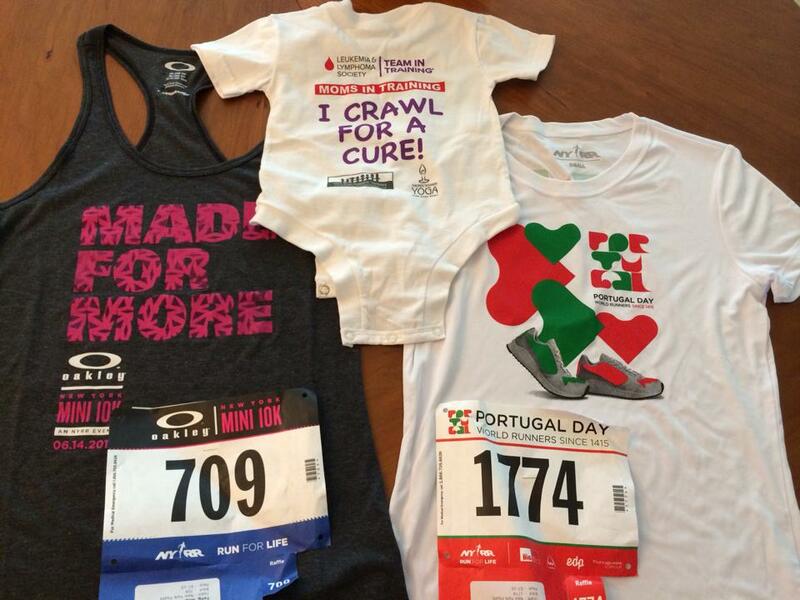 I’m excited to cheer on The Leukemia & Lymphoma Society’s Moms In Training while I’m running too at tomorrow’s race, for which my yoga studio was a partner. I had the opportunity to attend the Moms In Training Inspiration Dinner earlier this week, with my own mom as my date, and they had me in a teary mess! The moms that are members of the group are truly an inspiring group of superwomen! 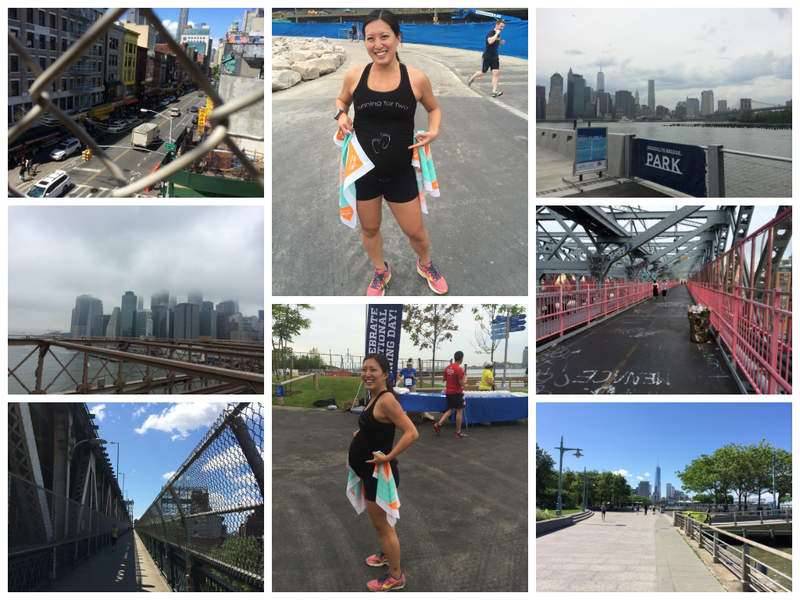 Categories: Athlete, Pregnancy | Tags: Brooklyn Bridge, Brooklyn Bridge Park, Leukemia & Lymphoma Society, Manhattan Bridge, Moms In Training, Pregnancy, Prospect Park, Running, Team In Training, Third Trimester, Triathlons, Williamsburg Bridge | Permalink.